The Reserve Bank of India (RBI) slashed repo rate by 25 basis points (bps) to 6 per cent in its First bi-monthly Monetary Policy Statement for financial year 2019-20 (FY20). The central bank, however, has assumed the monsoon to be normal this year. 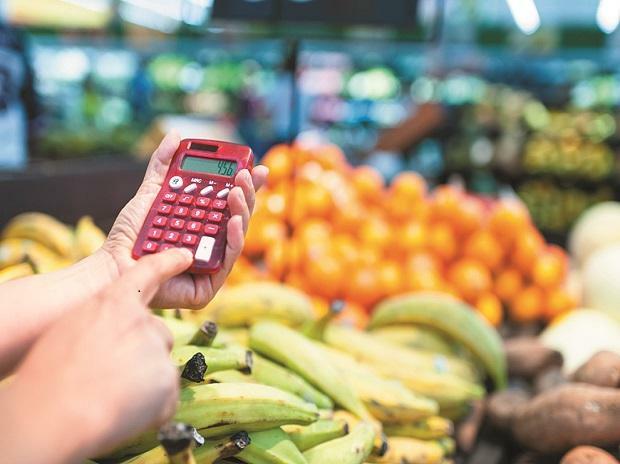 Consumer price inflation (CPI) projection, as a result, has been revised downwards to 2.4 per cent in Q4FY19, 2.9-3 per cent in H1FY20 and 3.5-3.8 per cent in H2FY20, with risks broadly balanced. "The RBI has adopted a very sensible and pragmatic approach by cutting the repo rate by 0.25 per cent while keeping the policy stance neutral. It takes cognizance of the likelihood or potential for inflationary pressures emerging from food prices and fuel prices and also fiscal pressures from the large government borrowing program," said Dr. Joseph Thomas, Head Research- Emkay Wealth Management. “RBI has held on to its gradualist approach in choosing to cut REPO rate by 25bps and maintaining neutral stance. The two key risk events for inflation trend in the year ahead - monsoons and elections, cloud the near term inflation outlook and warrant continued data dependency. The forward guidance for growth and inflation remains mixed and indicate shallow cuts here and there and not a cut cycle for now,” added Rajni Thakur, an economist at RBL Bank. First, low food inflation during January-February will have a bearing on the near-term inflation outlook, the RBI said. Second, the fall in the fuel group inflation witnessed at the time of the February policy has become accentuated. Third, CPI inflation excluding food and fuel in February was lower than expected, which has imparted some downward bias to headline inflation. Fourth, international crude oil prices have increased by around 10 per cent since the last policy. Fifth, inflation expectations of households as well as input and output price expectations of producers polled in the Reserve Bank’s surveys have further moderated. However, the RBI does highlight the following six risks that may have a bearing on its inflation projection. First, the central bank has taken cognizance of a lower-than-normal monsoon due to El Niño sees a risk of an abrupt reversal in vegetable prices, especially during the summer months. Second, inflation in fuel group items, particularly electricity, firewood and chips saw unprecedented softening in H2FY19. There is, however, uncertainty about the sustainability of this softening in inflation in fuel items, the RBI notes. Third, the outlook for oil prices continues to be uncertain. "Should there be a swift resolution of trade tensions, a pick-up in global demand is likely to push up oil prices. However, should trade tensions linger and demand conditions worsen, crude prices may fall from current levels, despite production cuts by OPEC," the central bank said in its policy review. Fourth, inflation (excluding food and fuel), the RBI said, has remained elevated over the past twelve months with some pick up in prices in February. However, should the recent slowdown in domestic economic activity accentuate, it may have a bearing on the outlook for inflation in this category. Fifth, financial markets remain volatile reflecting in part global growth and trade uncertainty, which may also influence on the inflation outlook. Sixth, the fiscal situation at the government level also requires careful monitoring, the central bank noted.